SPECIAL FRONTIER FORCE – MEMORIAL DAY TRIBUTE TO RESPECT, HONOR, AND CELEBRATE FALLEN SOLDIERS. 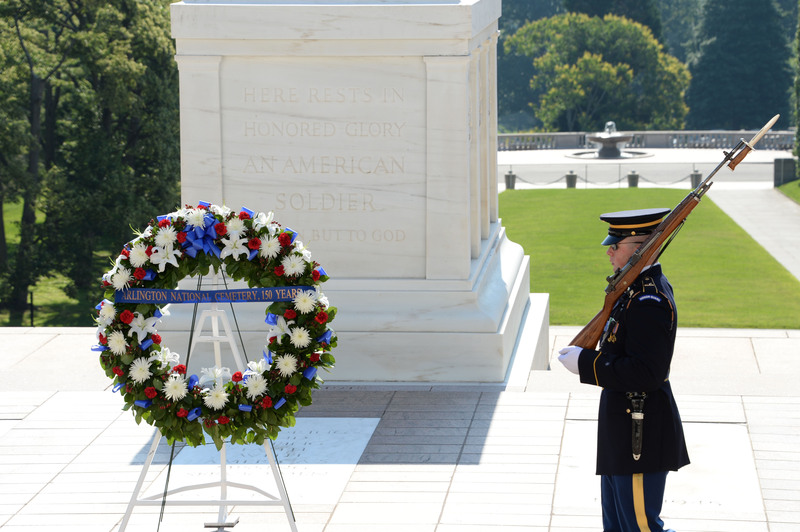 TOMB OF UNKNOWN SOLDIER AT ARLINGTON NATIONAL CEMETERY. 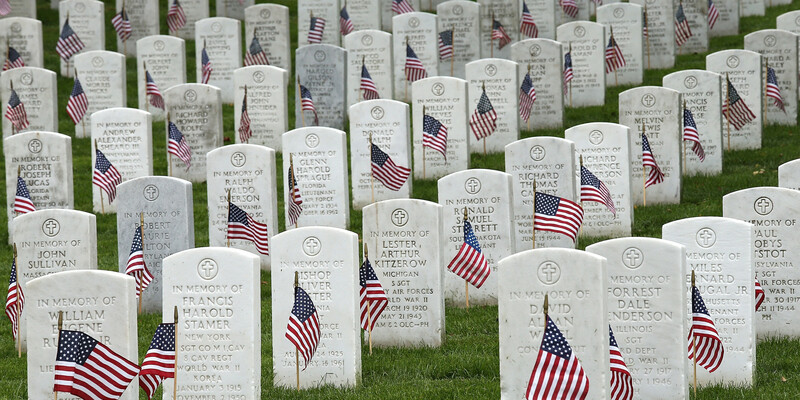 On Memorial Day, United States honors its citizens who have died in War. Originally commemorating soldiers killed in the American Civil War, the observance was later extended to all US war dead. The holiday is observed on the last Monday in the month of May and an official tradition began in 1971, the same year during which I had witnessed the death of some young soldiers who served in Special Frontier Force, which is known as Establishment No. 22 in India. Approximately, one million men and women died in defense of the United States since 1775. I cannot give a precise count of the men and women who died serving the cause of Freedom at Special Frontier Force. Tibetan soldiers with whom I served in Special Frontier Force died in the remote jungles of Chittagong Hill Tracts while our military action code-named ‘Operation Eagle’ initiated Liberation of Bangladesh during November – December 1971. We buried them or cremated them and our fallen comrades have no graves which I can visit for purpose of strewing with flowers or otherwise decorating the sites where they died to defend the cause of Freedom. However, I am pleased to remember them and honor them on this Memorial Day for we fought our battles with weapons, ammunition, field gear, medical supplies, rations, radio sets, and other military supplies provided by the United States. We are partners with India and the United States to defend Tibet and restore its lost Freedom. On this Memorial Day while I pay my tribute to honor memory of the fallen Tibetan soldiers of Special Frontier Force, I respectfully remind the US and India to renew our pledge to work in support of Peace, Justice, Freedom and Democracy in Occupied Tibet. Special Frontier Force – Memorial Day Tribute to Fallen Soldiers. 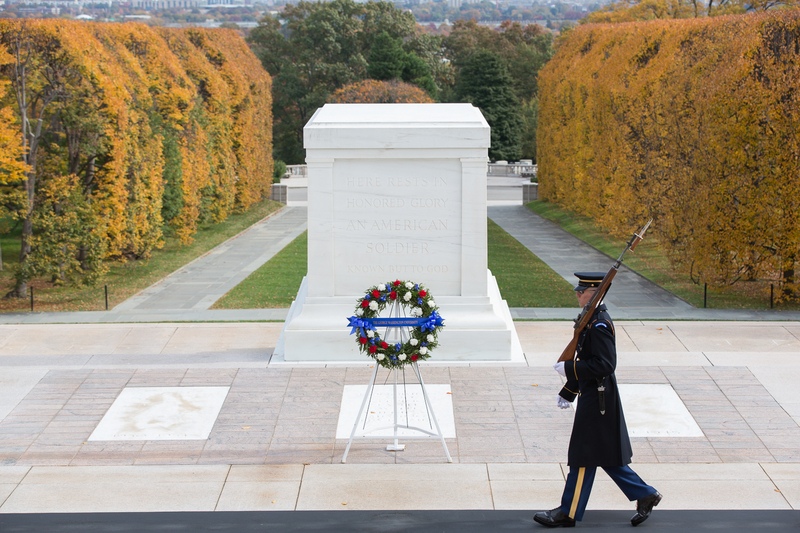 The tomb of the Unknown Soldier at Arlington National Cemetery. Special Frontier Force – Memorial Day Tribute to Fallen Soldiers. Wreath laying ceremony at Arlington National Cemetery. Special Frontier Force – Memorial Day Tribute to Fallen Soldiers. 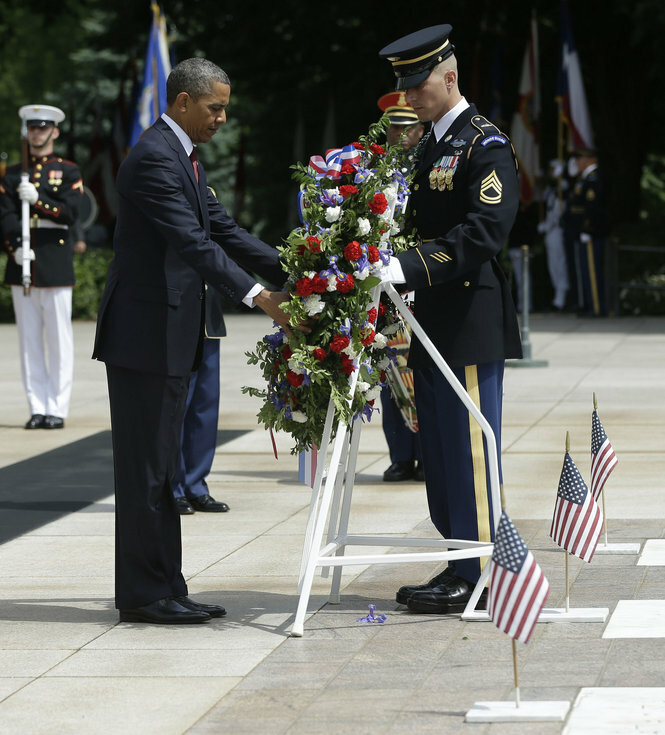 President Barack Obama at Arlington National Cemetery. Special Frontier Force – Memorial Day Tribute to Fallen Soldiers. Arlington National Cemetery. Special Frontier Force – Memorial Day Tribute to Fallen Soldiers. Special Frontier Force – Memorial Day Tribute to Fallen Soldiers. Camp Hale, Colorado, USA.